Congo Kintele Congress Centre project, which is located in the Kintele Region of Congo’s capital city Brazzaville as one of the two significant designs currently under construction in Africa by Avcı Architects was featured in architecture portal Mimarizm.com. 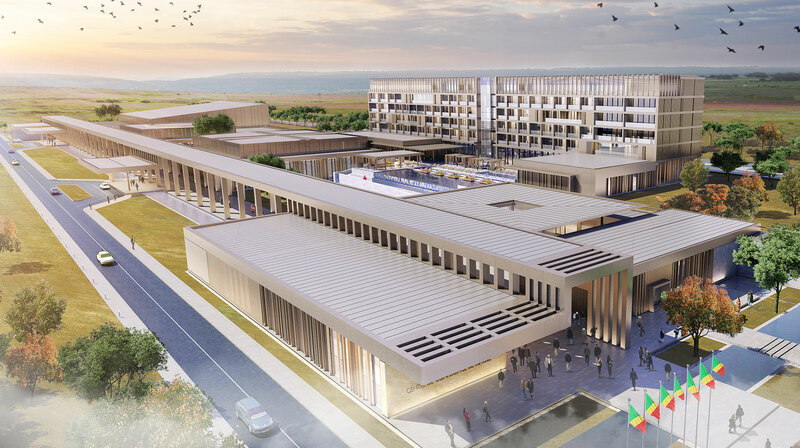 Kintele Congress Center that embodies several complementary functions in addition to a resort hotel accomplished with the support of Turk Eximbank, which operates under the control of Ministry of Economy. 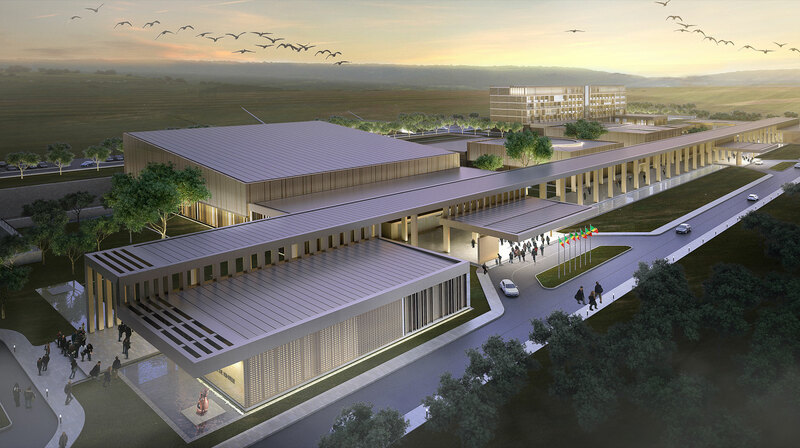 The congress center being constructed to host summits of the African Union is designed in complete harmony with the geographical, climatic and cultural context it is located in to satisfy the sustainability criteria which Avcı Architects takes as the most important starting point in all of its projects.